Two old photographs on stiff boards. 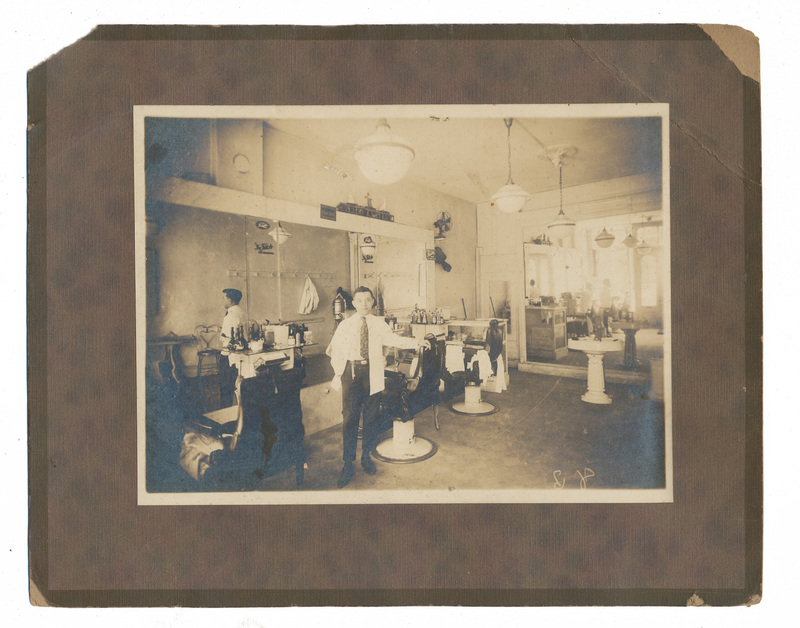 Wonder where this shop is, no writing or markings. 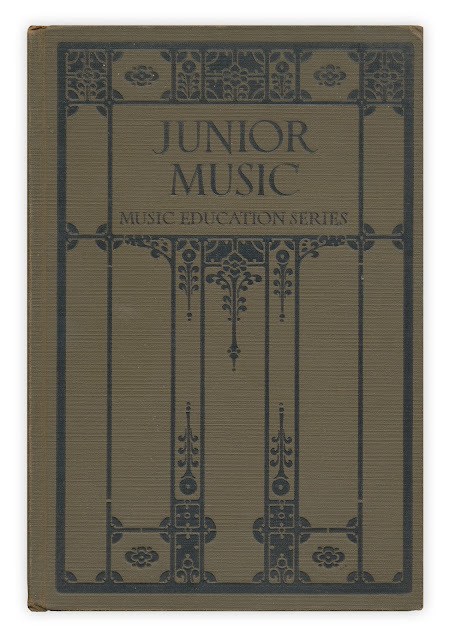 Found in "Junior Music" by various authors. Published by Ginn and Co., 1924. Listen to the Rhythm of the Scissors. In the reflection of the mirror of the first picture it looks to say "The Fisch" then I can't make out the second line. I don't know if that helps or not...just thought I would point it out. Ah, I see it, Deborah. It also says 'Shampoo' underneath, maybe an ad. I see above the mirror there's a sign "Wildroot for Dandruff." 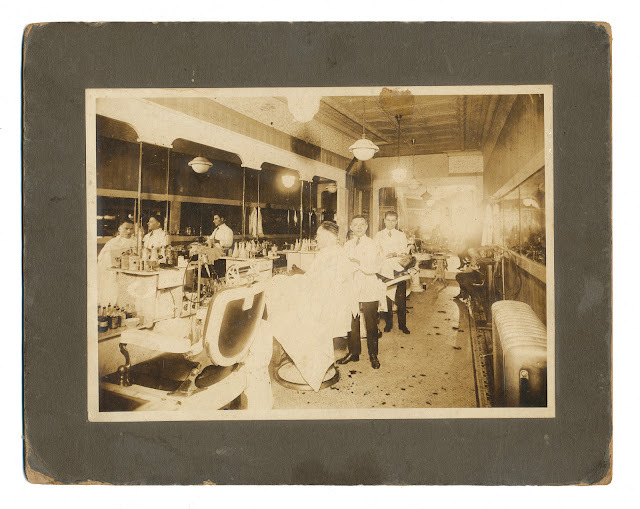 Also, I just assumed that both of these pictures were of the same place because the photo focuses on the same barber - but it looks like they are two different shops.